Part two of HootSuite’s Community Manager Appreciation Day recap covers enterprise social business and using social to engage your communities. If you missed part one, the Owls explored how you can go about Building Community around your brand, business or personal endeavour. There were four great #CMAD panels across a few different topics which cover the theme of social engagement quite nicely. From social business discussions with Jeremiah Owyang, to a slick media panel with Huffington Post and Mashable, the discussions provides valuable insight into social ROI and the evolution of social media in the mainstream media industry. Let’s take a gander at at the next four panels, shall we? One of the key things we cover in this discussion is how social media can deliver a measurable ROI for your business. The panel also touches on the evolution of and what truly makes a social business, and how community plays a key role in the process. How does employee training factor into transforming a business into a social business? How do you prove the value and make a business case for both social and community? What role does social media education play in the context of creating a social business? How do you overcome objections from higher ups? What are your favorite resources for social business news, trends and analysis? How different is the role of a community manager in Japan than in South Africa? This panel gives you a good insight into how location, culture and social status affect community management. What’s the current state of community management in your region? What are the most crucial cultural differences which Community Managers face. Does socio-economic status and market development play a role in community building? Does the term ‘community management’ translate to your language? Does this job exist in all digital cultures around the world? Mainstream media publications deal with tons of traffic and thus have to continuously moderate ‘fires’ in the form of comments, discussions, disagreements etc. Learn from the smart folks at Huffington Post, Mashable and others about the intersection of social and media. 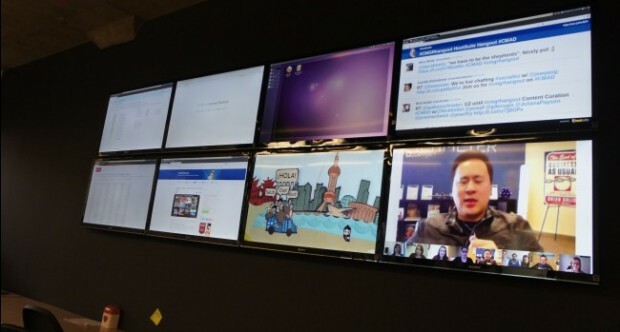 How do media social channels move beyond broadcast mode? What are the objectives of media outlets using social: getting traffic, interaction with articles or something else? How much control do you put around journalists to discuss their stories on social? Or do you want a top-down approach, sharing from your entity. In your organization, there’s probably some old school journalists who question social – how do you get them on board? Or is it even worth the time? How do you optimize the delivery process of your content (time, language, context, etc)? When you’re managing and moderating forums, you face unique issues in varying situations. Hear from leaders in e-moderation as they discuss the role of a moderator, the importance of moderators, workflow, legal issues and more. What is the role of the moderator (and where does it dovetail with the community manager)? What is the importance of moderation to the health of a community and the reputation of a brand? What does a moderator usually do? Describe the scope of the role? Describe the moderation workflow. How does legal factor in? How do you escalate? How do you protect child safety and wellbeing? What are the different types of moderation? What tools and filters are you using to moderate? Part three of HootSuite’s Community Manager Appreciation Day panel blitz delves into industry specific community management tactics. Watch the HootSuite blog for more info. Which panel of these panels did you most enjoy? What makes a social business in your mind?